Today, May 6th is a day most of you have never heard of before. To me, this day holds a very special place in my heart. Today is Wishbone Day. Wishbone Day was established to raise awareness for Osteogenesis Imperfecta. 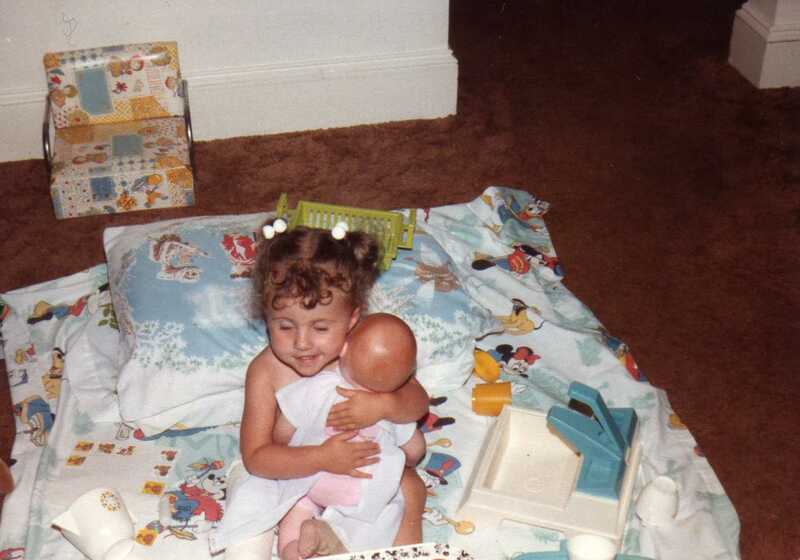 Look at this picture of a little girl hugging her baby doll. This might look like an ordinary photo, however, if you look closely you’ll notice her right leg is in a cast from a broken tibia/fibula fracture. Her mom kindly bandaged her baby doll’s leg to match her daughters. This little girl was me when I was two years old. I have Type I Osteogenesis Imperfecta, a brittle bone disorder. I have broken 15 bones. Any child I have has a 50% chance of inheriting my gene. My sweet Lincoln is OI free. OI is a very rare disorder, which makes raising awareness crucial. You can help by clicking here. That is very wonderful of you to raise awareness. I am getting updated on blogs from in a few days and I was shocked to read this right away in a way. I have never heard of "Wish Bone Day' BUT I have heard of OI. A very good friend of mine has it as well, and I have learned about it from him and from reading on my own. You were such a cute little girly! How sweet. Thank you for opening my eyes and raising my awareness! Before you blog I had honestly never heard of OI. What a cute two year old you were! I am super impressed with this blog and love that it is so educational. I can’t imagine as a parent or as a patient with this! How challenging childhood must have been for your MOM too trying to keep you safe.